Early Christians would have difficulty recognizing the diversity of modern Christianity. In addition to the theological and political disputes that split the early Church, the major denominations also have their own sub-divisions. In Catholicism, different religious and social traditions are carried out by religious orders, which are groups of men or women that band together with the blessing of the Church. One such order, the Society of Jesus, or the Jesuits, is currently in the spotlight due to the election of one of its members to the Catholic papacy. This article will discuss the difference between Jesuits and Catholics, as well as the Jesuits’ role within Catholicism. While recovering from injuries sustained in battle, the Spanish soldier Ignatius of Loyola decided to devote his life to being a soldier of God. In 1534, Loyola and his friends sought approval from the Pope to go on a pilgrimage to the Holy Land. When war broke out between Venice and the Ottoman Empire, the group decided to preach in northern Italy instead, and took the name “Society of Jesus“. Soon, the Vatican allowed the Jesuits to expand their ministry to the rest of Europe and the colonies. The young religious order played a huge role in spreading Catholic education throughout Europe. Scholars believe that the Jesuits’ zeal for mission work helped in halting the spread of Protestantism in Eastern Europe. To this date, the Jesuits still wield some degree of influence in Rome, and the Superior-General of the Society is commonly known as the “Black Pope”. This nickname refers to the black cassock that members of the Society frequently wear. As European countries started colonizing the rest of the world, Jesuit missionaries went with them. In Asia, the Jesuits were particularly active, especially in Japan, India and the Philippines. In the Americas, they established a foothold on the Atlantic coast as well as the Midwest. They established a worldwide network of schools, colleges and universities well-known for classical studies and theology. Today, Jesuit educational institutions are highly regarded throughout the world. Members of the order engage in scientific and academic pursuits outside of their work as priests. The Society of Jesus has a reputation for being more liberal and militant than other religious orders. Catholics commemorate the Pentecost (ca. 30 AD) as the official start of the Christian ministry. However, it could be said that modern Catholicism started in the 11th century, when the eastern branch of Christianity broke off from the western church due to theological and political differences. Over the centuries, the church spawned a number of religious orders, such as the Augustinians, the Dominicans, the Franciscans and the Benedictines. These orders preserved both the writings of the early Church and secular knowledge, such as Greek philosophy and the sciences. The Pope assigned certain orders to specific areas of Europe to conduct missionary work. For example, the Dominicans sought to evangelize Spain, while the Benedictines established abbeys in France. As the Europeans looked to colonize the rest of the world, the religious orders went with them as well. Thanks largely to the efforts of these religious orders, Catholics now form the single largest group of Christians in the world. 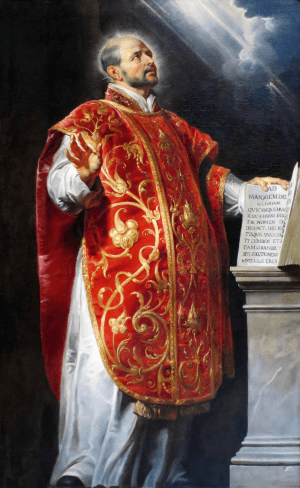 So, what are the differences between Jesuits and Roman Catholics? The differences between them would lie mainly in their advocacies and political beliefs. While many people view Catholics as being socially conservative, many perceive the Jesuits as being more progressive than other religious orders. Thus, Jesuit institutions have a reputation for being bastions of liberal thought, at least compared to other Catholic institutions. 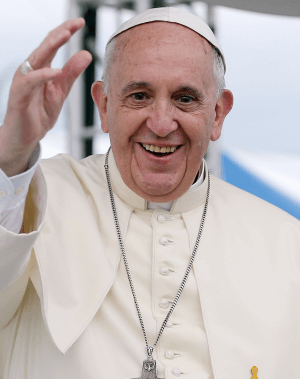 Because of this perception of liberal leanings, the election of Jorge Mario Bergoglio of Argentina, a Jesuit, to the papacy sent shock waves throughout the world. This was especially shocking because his predecessor, Pope Benedict XVI, held conservative views on most issues. Bergoglio took the pontifical name “Francis” in homage to Saint Francis of Assisi, whom Catholics revere due to his simple lifestyle and humility. Almost immediately, Pope Francis started focusing on global issues such as climate change. At the same time, however, he restated Catholic doctrine on matters such as homosexuality and the ordination of women to the priesthood. Most Jesuits tend to be moderate on these matters, with some choosing to go either left or right of the Catholic position.